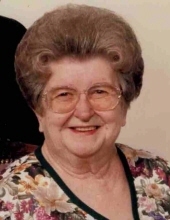 Rock Hill, SC – Mrs. Julia Ethelreda Kelley Durst, 90, passed away on Thursday, February 7, 2019 at Piedmont Medical Center. A Celebration of Life Service will be held at 6:00 PM Wednesday, February 13, 2019, at Palmetto Funeral Home and Cremation Service Chapel in Fort Mill, SC with Father Fabio Refosco and Rev. Jeffery McWatters officiating. The family will receive friends following the service. A native of New Castle, PA, Mrs. Durst was a daughter of the late Charles Vincent Kelley and Catherine Belle Robison Kelley. She was a member of Saint Anne Catholic Church and attended Divine Savior Catholic Church. In her earlier years, she worked at Shenango Pottery China in New Castle, PA. Later she became the Hospital Baker at Jameson Memorial Hospital where she retired from before moving to Rock Hill, SC. She was a loving mother, grandmother, aunt, cousin and friend. She was “Grandma” or “Irm” to anyone who knew her. She was a very special person who loved talking to people, entertaining friends and family and had a great sense of humor. She always loved a party. She enjoyed reading, working puzzles, playing bingo, traveling and loved her trips to Las Vegas. She was a warm and kindhearted person who was there for anyone who needed her. Her home was always open, she didn’t know a stranger. She will be deeply missed by her family, friends and anyone who knew her. She was survived by five children, Sally A. Durst, Frank J. Durst, Jr. (Renee), Gloria J. Tomlin (Phillip), Thomas A. Durst (Barb), and Kathy M. Cook (Greg); eight grandchildren, Linda Campbell (Eric), Adam Durst (Denise), Sam Durst (Jen), Andy Durst, Tyler Shoaf, Amanda Tomlin (Nick), Theresa Tomlin, and Jennifer Whisonant (Chris); 11 great-grandchildren; many nieces and nephews and very special friends. She was preceded in death by her husband, Frank J. Durst, Sr.; brothers, Chuck Kelley, Vin Kelley, Harold Kelley, Francis Kelley, and Henry Kelley; sisters, Margaret Murphy, Kate Jenkins, Mary Catherine Kelley, and Sally Gall; and her granddaughter, Michelle Eddington. The family would like to thank the staff at Harbor Chase of Rock Hill for their loving and professional care provided to their mother during her stay with them. In addition, would also like to thank the family and friends who traveled from near and far to be with her family during this time and attend her service. Online condolences can be left for the family at www.palmettofh.com. To send flowers or a remembrance gift to the family of Julia Ethelreda Kelley Durst, please visit our Tribute Store. "Email Address" would like to share the life celebration of Julia Ethelreda Kelley Durst. Click on the "link" to go to share a favorite memory or leave a condolence message for the family.